UK East Kent Goldings Hop Pellets - 1 lb. 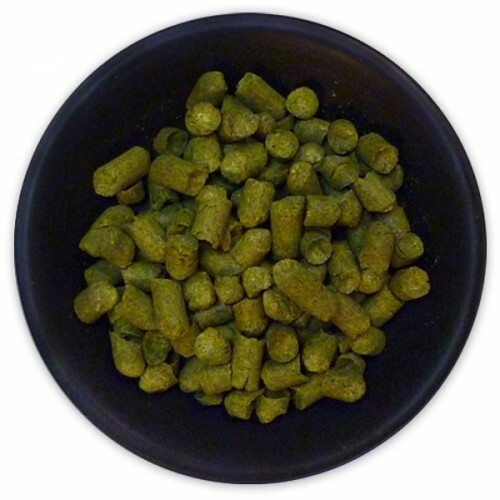 - Texas Brewing Inc.
UK East Kent Goldings Hop Pellets - 1 lb. UK East Kent Golding has a smooth, delicate, slightly spicy aroma. It was developed by clonal selection from 1790 on, starting from Canterbury Whitebine. Use UK East Kent Golding for its aroma, not bittering, in all English and Belgian-style Ales. UK Fuggle Hop Pellets - 1 lb. UK Challenger Hop Pellets - 1 lb.